A 2-0 win over Chelsea restored the Reds’ two-point advantage at the top of the table, after Manchester City, who have a match in hand, had briefly taken back first place with a win at Crystal Palace earlier in the day. The Reds now have 85 points, five short of their previous league best of 90 from 40 matches in the 1987-88 campaign where they emerged champions. 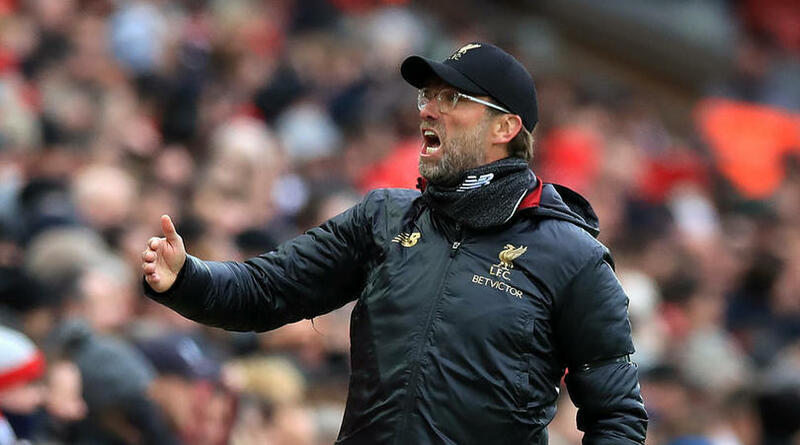 City won the league with 100 points last season, but Klopp is targeting four more wins to push their rivals all the way over the closing few weeks. ‘We only try to collect as many points as possible. What is it now, 85? Four games to play. 97 [possible]. Let’s try. ‘Very smart people will come out and say ”Yeah, if you would have won against Leicester you would be champions”. ‘We see it game by game. We go to Porto now, which will be a tough one. Hazard beat Alisson Becker in a one-on-one, only for his shot to rebound off the post before firing a first-time, close-range shot straight at the goalkeeper when he seemed certain to score, with Higuain also missing a chance soon after. ‘The second goal of Mo was wonderful, and then we were a little bit unlucky because in three minutes we had three goal opportunities, two with Hazard and one with Higuain, and we hit the post for the 35th time in our season.